When life gives you lemons, you might as well make pecan lemonade. I have loved lemonade ever since I was a kid. All too often I was exposed to lemonade in powder form or dispensed out of a soda machine. Lemonade was meant to be sweet, tart, refreshing, and an embodiment of all that is good in the summer time. And the truth is it is so easy to make! Fresh lemonade is a significantly healthier option to a soda. "The health benefits of lemons are due to its many nourishing elements like vitamin C, vitamin B, phosphorous, proteins, and carbohydrates. Lemon is a fruit that contains flavonoids, which are composites that contain antioxidant and cancer fighting properties. It helps to prevent diabetes, constipation, high blood pressure, fever, indigestion and many other problems, as well as improving the skin, hair, and teeth. Studies conducted at the American Urological Association highlight the fact that lemonade or lemon juice can eliminate the occurrence of kidney stones by forming urinary citrate, which prevents the formation of crystals." (Organicfacts.net) While people who drink 1 to 2 cans of soda every day have a 26% increased chance for type 2 diabetes. (Harvard School of Public Health) Have you put your soda down yet? Besides the health benefits, lemonade just tastes great. 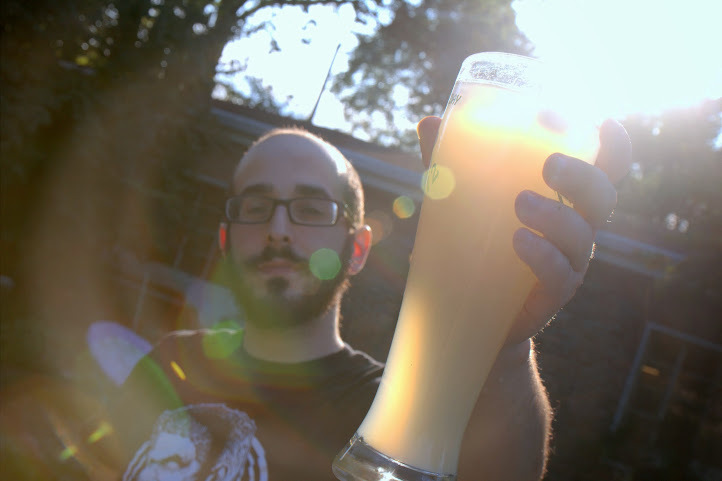 I wanted to put my own interesting savory twist on lemonade for this article. I did this by including a pecan flavor in the syrup making process. Lemon's and pecans have been paired in countless desserts, why not lemonade? The pecan flavor is quite subtle, but leaves a lingering nutty note. It's unique fun and at the end of the day still a great lemonade. I believe that the key to a good lemonade is good lemon juice. Feel free to use fresh squeezed lemon juice of good lemons. However, I used a bottle of reliable lemon juice from Santa Cruz Organic. It is acceptable to use juice from concentrate, but I personally feel Santa Cruz Organic offers the best easily accessible lemon juice. You can also use this recipe as a template for your own lemonade concoctions. Replace the pecan syrup aspect of this recipe with anything. Infuse herbs into the syrup, fruit's, most anything you can think of. 1. Bring sugar and water to a simmer, whisk until combined. 2. 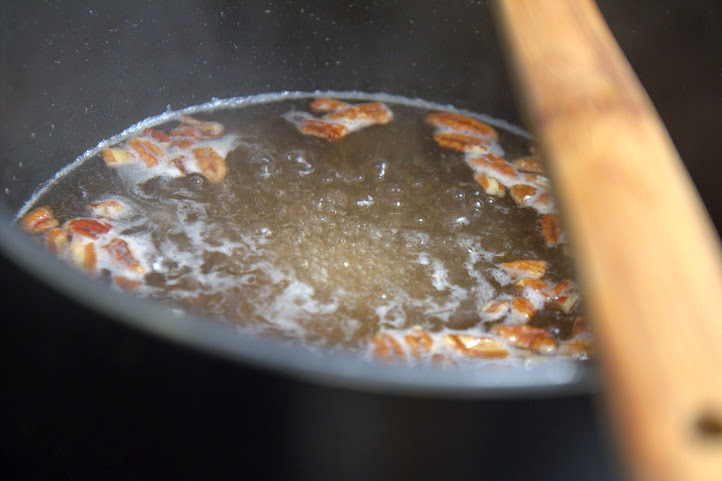 Bring temperature down to under a simmer and add pecans to syrup. 3. 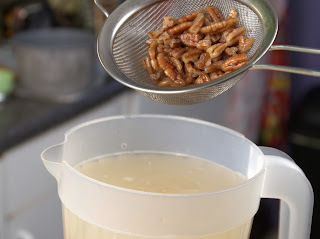 Dump syrup into a pitcher with a strainer to separate pecans from syrup. Combine all ingredients into a pitcher and whisk. Chill in a refrigerator then serve. "Health Benefits of Lemon." Organic Facts. Organicfacts.net, n.d. Web. 10 Sept. 2014. <https://www.organicfacts.net/health-benefits/fruit/health-benefits-of-lemon.html>. "Soft Drinks and Disease." Nutrition Source. Harvard School of Public Health, n.d. Web. 10 Sept. 2014. <http://www.hsph.harvard.edu/nutritionsource/healthy-drinks/soft-drinks-and-disease/>.